This is the interior of the Moeders restaurant in Amsterdam. 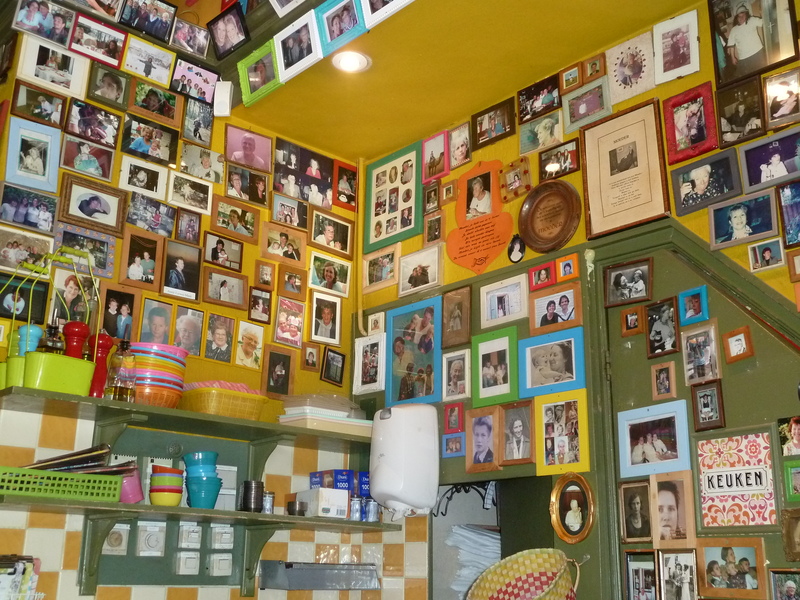 It is decorated wall-to-wall with photos and messages of mothers brought in from guests. Happy Mother’s Day to my awesome mum and all the other ones out there. This entry was posted in Travel/Photography and tagged alex raphael, alexraphael, amsterdam, Happy Mother's Day, Moeders restaurant by alexraphael. Bookmark the permalink. That’s quite colorful! I wonder what the food there is like. I was in Amsterdam years ago, my standout gustatory memory was those delicious little sandwiches — either roast beef or herring — that they sell on the street. Nice one – love the room! That’s so cool! Nice to see a place where mums are being honoured all year round.